1-3 Bedroom Condos with Access to Marina, Beach Club, & Golf Course. 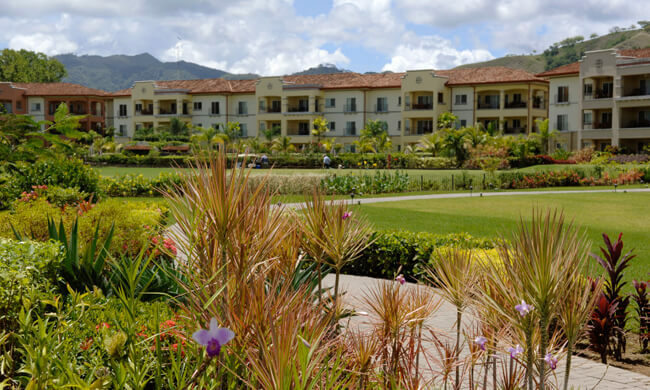 The Del Mar community in Los Sueños resort features some of the country’s most exclusive Costa Rica condo rentals in the country. The Mediterranean-style condos feature private terraces with lovely views of the marina, as well as spacious living areas. Each of the one-, two-, or three-bedroom condos has a fully equipped kitchen, central A/C, and laundry areas. The condos also have access to three swimming pools, gardens, and barbecue areas. Ideal for families, honeymooners, or friends. Access to tours and activities in the area, like canopy tours, kayaking, sportfishing, and more. The lushly landscaped gardens are perfect for lounging and resting.